In April of 2016, The leaders of BingYi Construction company visited our factory. BingYi Construction company got one tender of road project which is one of the projects of “The Belt and Road” in Xinjiang province of China. The whole road length is 400km which is connection from Xinjiang to Kazakhstan. They knew Nanyang City of Henan was one production base of asphalt mixing plant in China, and there were many factories who produce and supply asphalt mixing plant. So they decided to come Nanyang city and planed to visit three factories at least. The leaders of BingYi look over our R&D department, PE department, QC department, Base processing shop, Assembly shop, Spare parts warehouse, After-sales service department, sales department and over sea marketing department... ,and then make a meeting with our director Mr. Fang and sales manager Mr. Wei. On the meeting they recognized we were one professional manufacturer in asphalt mixing plant. And they said our base processing equipment is the most in these factories in Nanyang city. After they got that we will provide the technical service support and spare parts supply in the whole life of asphalt mixing plant, they very were satisfied. At the same time, they proposed some valuable advice to us. Our director Mr. Fang have very thanks for these advice, and promised we would try our best to do better. 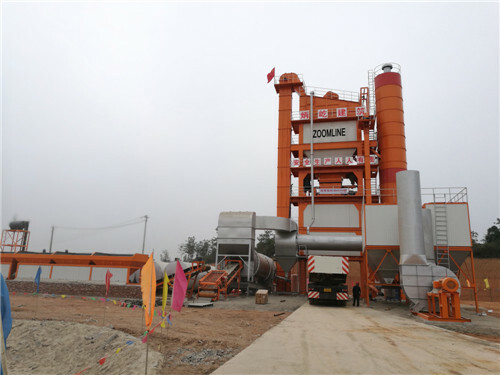 Finally, After their inspection of four factories in Nanyang City, They decided purchase one set 240 ton per hour batch asphalt mixing plant with 70 tons finished asphalt storage silo form ZOOMLINE by integrated considering. After the producing of 40 days, we shipped the plant to their work site in Shihezi of Xinjiang on July 9th,2016. and arranged person to guide and finish the installation & commissioning & training work on August of 2016.